One of my fondest memories is standing in a courtyard in Napa’s Trefethen Vineyards, watching David Gray sing “Babylon” on an outdoor stage surrounded by beautiful trees, while yellow leaves softly fell around us. It was one of those magical moments that, for me, always seems to involve wine. Trefethen is an iconic vineyard in Napa whose main building dates back to 1886. Constructed by Scottish sea captain Hamden McIntyre, the winery was designed as a gravity-flow system: a horse-drawn winch brought grapes to the third floor of the three-story structure for crushing, gravity carried the juice to the second floor for fermenting, and eventually the wine descended to the first floor for aging. Bought and restored in 1968 by the Trefethen family, it is the only wooden gravity-flow system in the Napa Valley still in use. 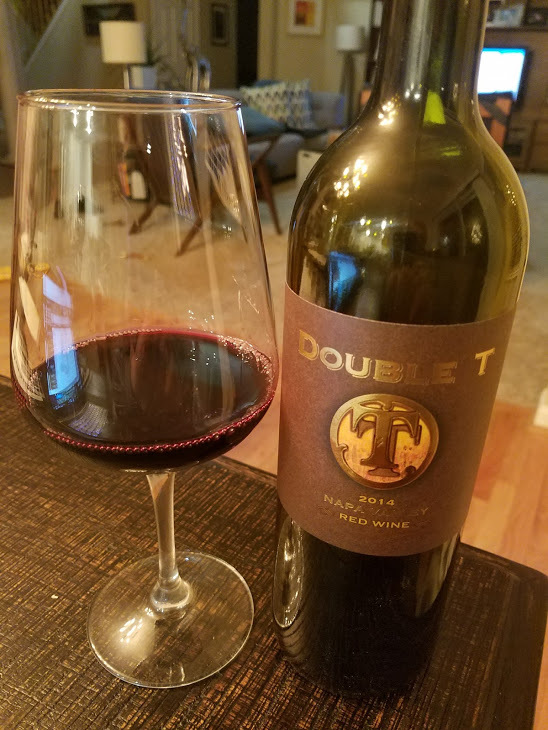 The Double-T Napa Red Blend is a surprisingly affordable Bordeaux blend, when you consider many Trefethen wines go for $60 or more. Double T is around $20, but tastes like a much more expensive wine. Open a bottle and you’ll notice rich black currant and black cherry aromas, with nice balance and depth of flavor featuring black cherry and dark chocolate, firm tannins, and a spicy finish. This wine is really hard to beat for the price! On my five cork scale based on taste and value, I give the Trefethen Double-T Napa Red Blend 3.8 corks!